This Titanium Lightning Bolt Top is none short of electrifying. 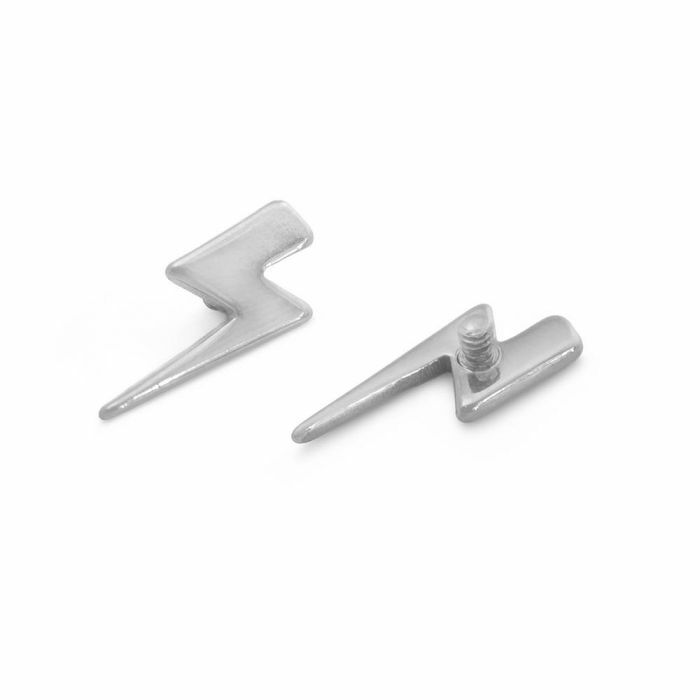 The top measures 10mm long by 4mm wide and features a lightning bolt-shaped design. It has internal 1.2mm threading and a 1.5mm long post, which is compatible with our standard 14g or 12g internally threaded body jewelry that has a matching 1.2mm internal thread pattern. This top is manufactured from high quality titanium and for a small fee, it can be anodized to one of 26 colors in our Hanover, MD Painful Pleasures facilities. The Titanium Lighting Bolt Top is priced per one top only.